The RainGlove_EVO7 from Assos is built to shield rain, wind, and moderately cold temperatures so the riding doesn’t have to stop when the weather gets nasty. 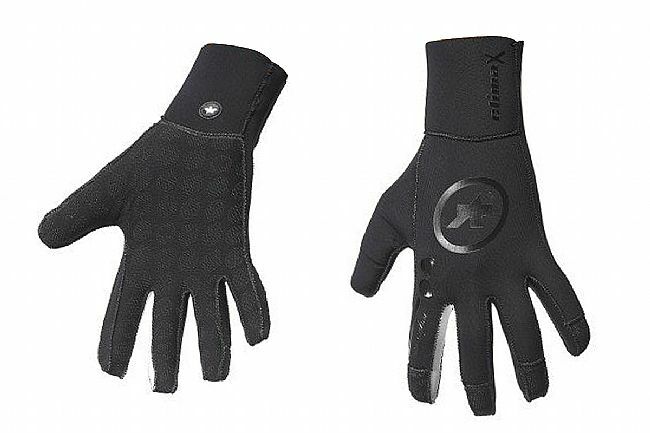 Elongated cuffs keep water from seeping in at the wrists while waterproof neoprene and reduced seaming prevents water infiltration throughout the the body of the glove. 3-D finger construction provides a snug, ergonomic fit for a natural feel while braking and shifting. Integrated grip material on the palms ensure secure hand placement on the bars and hoods.